Welcome to your new home! Pride of ownership shows in the open floor plan and double en suite Master Bedrooms! Two covered patios, open yard, horseshoe game pits and synthetic grass invite you to the outside living in AZ. 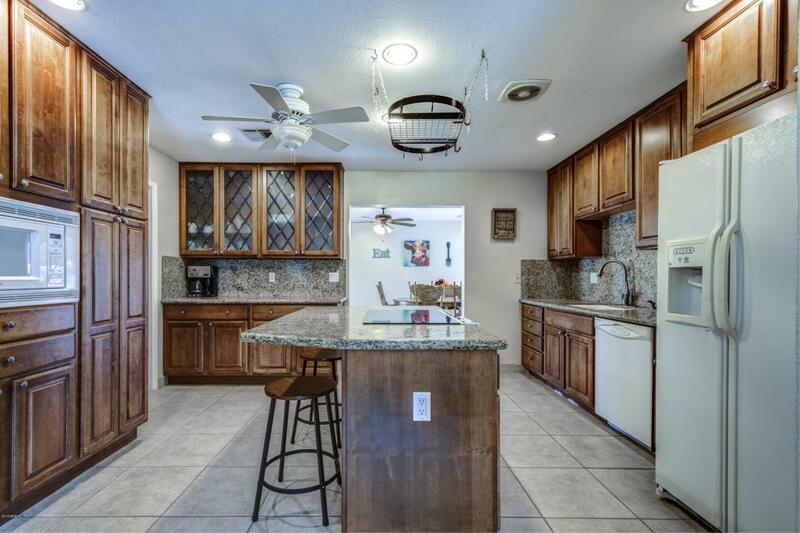 Enjoy the kitchen slab granite counter tops, Kraftmaid Chocolate glazed maple cabinets and illuminated glass doors. Updated recessed lighting, a new office/desk nook and beautiful laminate wood flooring. New Epoxy garage floor and recessed garage area with storage shelving, RV parking and an RV gate. Close to schools and easy access to get around town! Move in ready!